UPDATED: Fri., Aug. 31, 2018, 9:49 p.m.
MANAGUA, Nicaragua – The government of Nicaraguan President Daniel Ortega is expelling a United Nations human rights team two days after the body published a report blaming it for the violent repression of opposition protests. Guillermo Fernandez Maldonado, chief of the U.N.’s human rights mission in Nicaragua, said in a news conference Friday that he and his team would leave the country Saturday. In a statement, the U.N. human rights regional office for Central America said that it had received a letter Thursday from the foreign ministry notifying it that the government’s invitation was over. “The letter indicates that said invitation was extended with the purpose of accompanying the Verification and Monitoring Commission and that with the reasons, causes and conditions finished that spurred said invitation, the invitation is considered concluded,” according to the statement. The U.N. statement said the team will continue monitoring and reporting on the situation remotely. It was a rough day for the U.N. in Central America. While the human rights mission was preparing to leave Nicaragua, military vehicles surrounded the U.N.-backed anti-corruption mission headquarters in Guatemala’s capital. Guatemalan President Jimmy Morales is facing an attempt to strip his immunity so he can be investigated for alleged illicit campaign financing. The U.N. Security Council will discuss the situation in Nicaragua on Sept. 5. The U.N. issued a statement late Friday saying that Secretary-General Antonio Guterres “regrets” Nicaragua’s decision to withdraw its invitation to the human rights office and urges it to continue “constructive engagement” with the agency. The report released Wednesday by the Office of the U.N. High Commissioner for Human Rights described repression in the country that stretched from the streets to courtrooms, where some protesters face terrorism charges. More than 300 people have been killed since popular protests began in mid-April triggered by cuts to the social security system. Ortega reversed the cuts, but demonstrations quickly expanded and turned into a call for him to step down. In July, the government forcefully cleared the last of the roadblocks erected by protesters that had snarled the country’s traffic. It also retook the last of the university campuses occupied by students. The U.N. report called on the government to immediately halt the persecution of protesters and disarm the masked civilians who have been responsible for many of the killings and arbitrary detentions. It also documented cases of torture and excessive force through interviews with victims and local human rights groups. In response, the government said that the report was biased and did not consider that its actions occurred in the context of what it alleges was a failed coup attempt. It said the report ignored violence committed against members of his Sandinista party. Ortega has called the protesters “terrorists” working in coordination with domestic and foreign interests which want him removed from office. The government also accused the U.N. team of overstepping its authority in violation of Nicaragua’s sovereignty and said the U.N. had not been invited to evaluate the human rights situation, but to accompany the commission working to end the crisis. 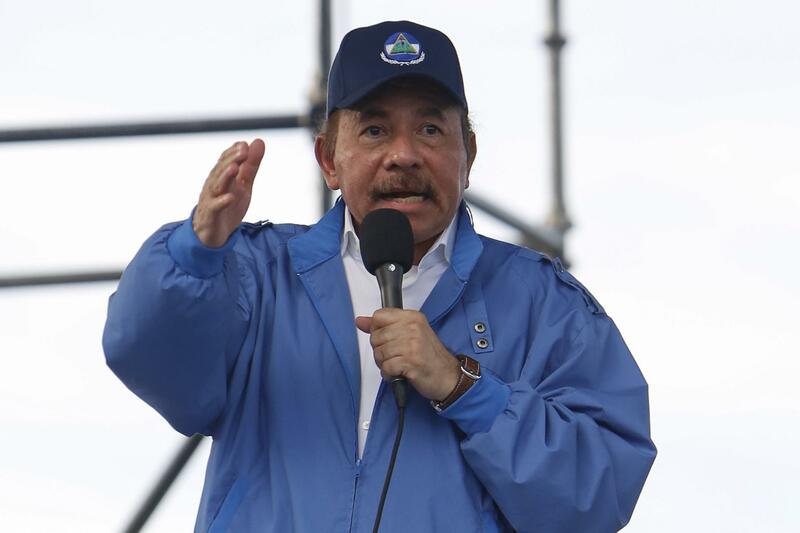 A national dialogue aimed at finding a resolution ultimately stalled, and Ortega accused the Roman Catholic bishops who were mediating talks of working with coup mongers. Human Rights Watch’s director for the Americas, Jose Miguel Vivanco, issued a statement calling on the U.N. Security Council to apply pressure to Ortega’s government. Published: Aug. 31, 2018, 1:30 p.m. Updated: Aug. 31, 2018, 9:49 p.m.